Can you answer questions about the Northern Pacific Railroad in Sedro-Woolley, circa the 1950s and 1960s? He would like to know locations of buildings and photos of them along the route. Email us if you can help. 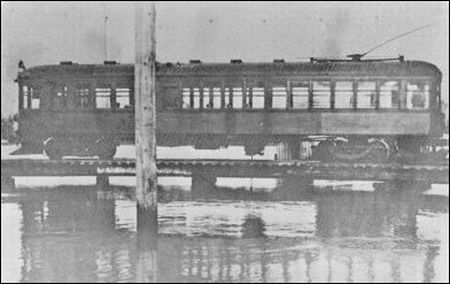 We share a six-part series on the Interurban electrified railroad that ran north to south between Mount Vernon and Bellingham, and west to east from Burlington to Sedro-Woolley, from 1912-29 (this series was shared first with our subscribers). Local runs were just a nickel and travelers north to Bellingham got a hair-raising ride out over the bay, under the steep cliffs of Chuckanut, on a rickety wooden trestle, an experience that all riders of a certain age will never forget. In this series you will also find history and photos of the Great Northern's Chuckanut new cut-off route that was constructed in 1902-03, and Sedro-Woolley's Dollar Way, the first concrete highway in Skagit County. This Andy Loft photo of the Mount Vernon turnaround from the book, Skagit Settlers, is most interesting. The caption reads: "At the end of the interurban line in Mount Vernon the cars turned around on a curving trestle over the river where the Moose Hall now stands. This was outside the dike and when the river was very high, as in this picture, the muddy waters swirling underneath made the turn-around somewhat frightening." We hope that a reader will have other photos of the waterfront and the turnaround spot of this time that will show this are be-fore the present revetment was built. See the book, which is still for sale at the LaConner Museum, for more photos, and for a full treatment of the Interurban, look for Warren Wing's spectacular 1988 book, To Seattle by Trolley. Chock-full of photos of both the southern branch and the northern — Whatcom and Skagit — branch of Stone & Webster's Interurban, the typography for this book was provided by Sedro-Woolley's own A2Z Graphics. Do you have photos or documents about your family and trains that you would like to share with our readers? Please consider emailing the scans as attachments or use regular mail for copies. We never ask for your originals. On the day I was born in Middletown, Missouri, the top song on the Hit Parade was Atcheson Topeka & the Santa Fe. My late brother Jerry and I spent hundreds of hours on trains, built many model railroad layouts — both HO and Lionel — and walked the Great Northern line from Sedro-Woolley to Rockport many times. Our greatest joy was to belly-flop into a boxcar of the Great Northern freight train that ran by our home in the Utopia district, east of Sedro-Woolley. While I was in grade school, every couple of years my mother would put us on the Empire Builder of the Great Northern and we would travel back cross-country to Missouri for summer reunions — via steam in 1949 and diesel afterwards. The sound of a steam locomotive's siren song was enough for us to lay down the hoe or sickle at our farm and head out at a dead run. This is a photo of Jerry at age 5 in Missouri with his mommy, distracted as usual by the hissing of steam. Rock Train in Concrete, circa 1920. Lois Pinelli Theodoratus collection. Click on the photo to see Lois's fine old Concrete-area train photos. Part 2, 1870 survey of the Skagit River, North Cascades and lake Chelan by D.C. Linsley, Frank Wilkeson and others for the Northern Pacific Railway. The Everett and Monte Cristo Railway, a book filled with photos and details of the railroad that led to the mines in the North Cascades in the 1890s. In this collection of short newspaper articles, Odds and Ends about Sedro-Woolley No. 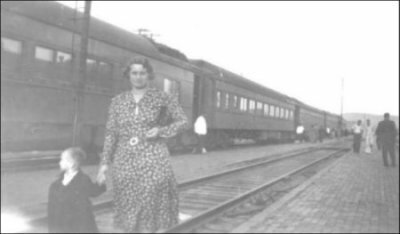 1, read about the last passenger train to arrive in Sedro-Woolley in 1940 — the Northern Pacific, from Seattle to British Columbia. The last Great Northern passenger train from Anacortes to Rockport last ran in 1932. In this rare issue of the short-lived Skagit County Logger from Hamilton in 1890, you can read the high hopes for the F&S, which was being sold to agents of James J. Hill, owner of the Great Northern. The hopes soon crashed along with the railroad. Read two stories about the father of the F&S, Nelson Bennett, here by Frank Wilkeson in the 1890s and here by Elwood Evans in 1889. Updated with photos: See the rare old old train and trestle photos from Concrete that Lois Pinelli Theodoratus has shared. Norman R. Kelley, Albert G. Mosier and Junius Brutus Alexander build the Seattle, Lake Shore & Eastern and new-Sedro, 1888-90. A new feature is coming in the next year; can you help with photos and memories? Here is a tremendous link about the SLS&E and the early days of the line in Seattle. It is part of the great Seattle site, HistoryLink.org, edited by Walt Crowley. The birth of the Seattle & Northern railroad in Ship Harbor. Anacortes and early history of the town that many people bet on as the west coast terminus of a transcontinental railroad. Many photos of S&N railroad including terminus in Rockport. The Washington State Railroads Historical Society in Pasco, their railroad history timeline and their marvelous museum, which opens annually in April. History of the Great Northern line in British Columbia and Washington, a tremendous site with stories and maps. Old schedules, ads and maps Of Washington state railroads. TSROSS list of Railway Names around the world. Thousands of them, a must for editors and rail historians. Washington State Steam Railroads and Locomotives. Brian shares dozens of links and honors steam railroading along with those who are preserving it. He also has a sub-page link for Lake Whatcom Railway, based in Wickersham, which runs special passenger coaches along the old Northern Pacific right-of-way in the summer months and on holiday weekends. Read about the Great Northern and the Cascade Tunnel, which they called the Iron Goat trail. And the GN Goat, links about the history of the vast GN empire. Jack Pettee's P&SW, a model railroader's dream. Mr. Pettee has built a scale layout of a route from Princeton, British Columbia, south through Bellingham, Sedro-Woolley and Silvana. See his historical layout. Coming this fall: two more layouts, including that of our subscriber, Mario Mateo. And a special ode to steam — Ray Jordan's story of the Stanley Steamer auto and R. Pat Farrell's update from his own Stanley car collection. Diablo dam, 1940s. 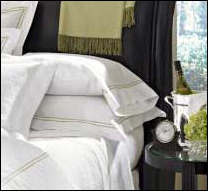 Click to see the collection of Richard Wilkens's fine photos on his website. Subscribe Please go here to find out how you can subscribe to the Skagit River Journal Subscribers Edition online and help us fund the free resources we share. It is completely optional; we share those stories with the Free Home Page section later on. The first full magazine was introduced in January 2001 and is published every two months after that. We are now in Year Ten with 2010. Subscribers also receive a regular update in between, with results from our extensive research and first views of rare old photos we discover. "It may not be as long as others but it is just as wide." A description of the Skagit River Railway by Seattle Mayor Edwin J. Brown (1926-1928). Richard Wilkens shares this and the results of his research on the Skagit River Railway, originally carved out of the steep banks of the Skagit to transport workers and materials to the dam sites upriver. He invites contributions to his upcoming book. Building the Skagit, by Paul C. Pitzer. This book has been my bible for a longtime concerning the early exploration and settlement of the upper Skagit River and the development of electricity and construction of the dams. A 1951 history of SRR and photos by H. William Lancaster. He was a minister who drove from Ferndale weekly to tend his spiritual flock in Newhalem. History of the Incline: Up and Down on the Incline Scene by Charles E. Benjamin, written for the 60th anniversary of the Ross incline, originally published in the September/October 1987 issue of Trolley Fare magazine. Tour the dam area from June to September. Seattle City Light tours combine a boat ride on Diablo Lake, a ride on the incline, a tour of Ross dam and a lunch. Can you help answer rail historian Neil Sullivan's questions about the Northern Pacific Railroad and the Northern Pacific Railroad (originally the Seattle Lake Shore & Eastern line) that ran north and south through Sedro-Woolley, from Seattle to Sumas? He is constructing a model of the line, which will include accurate depictions of downtown Sedro-Woolley along the tracks. In Subscribers Edition No. 28, we share an exclusive six-part series about the history of the Interurban, 1912-30, the Great Northern Railway Chuckanut cut-off, and Dollar Way in Sedro-Woolley, the first concrete highway in the county. Help us identify mystery photos and caption them, and submit scans of your own photos for Paul Dorpat's new Washington book and our updated Mystery Photos section. Chapter One features Chuckanut drive, the Interurban and the Great Northern railroad route along Chuckanut, which was cut through starting in 1902. Did you know that 11 trains a day crossed on three rail lines through the heart of old Woolley, in the early 1890s? Read Noel V. Bourasaw's original webpage from 2000, with updates: From Bug to the Bughouse, the First 50 Years of Sedro-Woolley and the Upper Skagit River. See two photos of the Fairhaven & Southern railroad, including the only photo of the original 1889 depot and old Sedro by the river. 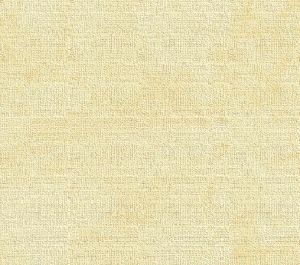 Skagit River Journal of History & Folklore, Subscribers Edition online, an optional resource with hundreds of names for genealogists and our own in-depth research. Began on Jan. 1, 2001, now in its fifth year. Share your Family memories and documents with our readers. Please sign our guestbook; you can post a question there or post a date for an upcoming family or school reunion or regional event. You can also find our email and snailmail addresses there. Profiles of Sedro-Woolley founders: Mortimer Cook [read how he named his village, Bug]; and P.A. Woolley, who was a railroad developer in Elgin, Illinois before building his mill at the confluence of the three rail lines in his company town here. The Two-Spot Lokey at the entrance to Woolley. Puget Sound & Baker River Railroad's logging legacy welcomes visitors. Ray Jordan's story of how the Fairhaven and Southern arrived in old Sedro on Christmas Eve, 1889. 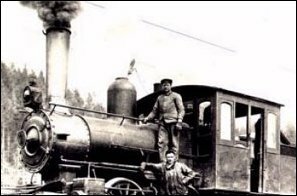 Photo tour of the Seattle & Northern railroad's role in the early 1890s boom of Anacortes. Toonerville Trolley to Diablo dam site, 1930s. Seattle City Light collection. Click to see more great Skagit River Railway photos. Fairhaven & Southern locomotive, first day, 1889. Click on photo for our exclusive two-part feature. 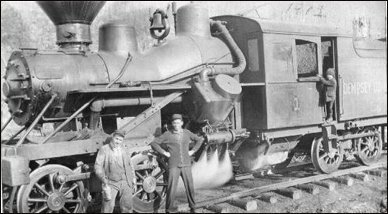 This photo is of a locomotive used on the logging railroad from the Dempsey Logging camp that was located in the Lyman-Hamilton area. That is Al Stewart, the engineer, on the left, and W.L. Richmyer, the fireman, on the right. We thank reader Julia Spray for the photo. She is the granddaughter of Al Stewart. She thinks the photo was taken in either 1912 or 1919. We hope a reader can identify the locomotive for us.